Kazakhstan National Bank has introduced a new ban prohibiting Kazakh banks from keeping over 30% of their funds abroad, but offered them tenge rate stability and cheap funding at the same time. Central bank Governor Kairat Kelimbetov announced the new ban prohibiting Kazakh banks from transferring abroad the funds they raise from the domestic market at the press-conference on September 5. The ban comes into effect on October 1 for all the Kazakhstan-based banks except Kazkommertsbank and Halyk Banks, the governor said. He did not specify the reason why the two banks were exempt from the ban, but promised that the ban would be applied to them, but later. In the interview he gave to Panorama the week before he spoke about the ban being introduced "starting next year", so that may be the deadline for the two favorites. According to Kelimbetov this is done to stimulate the banks to reduce their non-performing loans that constitute 33% of their cumulative portfolio, and start lending again. "The banks are not reducing their non-performing loans, they are relying on currency speculation (for profit) and don't feel much need to issue loans. Over the past 3-4 years the average growth of their loan portfolios was at 10%, but it is more of a half-statistical discrepancy or refinancing of the loans issues earlier. I don't see them returning to their normal lending activities. They have chosen a "half-zomby" stand for themselves, " he said. Kelimbetov specified that "most of the Kazakhstani banks were participating in currency speculations and keeping parts of their funds overseas in 2012, 2013 and the beginning of 2014". At the press-briefing he confirmed that the banks were keeping some of their funds "on their correspondent accounts abroad", but he never specified that amount of funds he was talking about. "The banks will be limited to 30% of their balance in their operations with derivatives. Roughly speaking, they are no longer allowed to play with currency derivatives, " the Governor said in the interview. Derivatives are high-risk financial instruments. A foreign exchange derivative is a financial derivative whose payoff depends on the foreign exchange rates of two or more currencies. These instruments are commonly used for currency speculation and arbitrage or for hedging foreign exchange risk. The instruments include binary options, currency futures, currency swaps, foreign exchange forwards, foreign exchange options and etc. 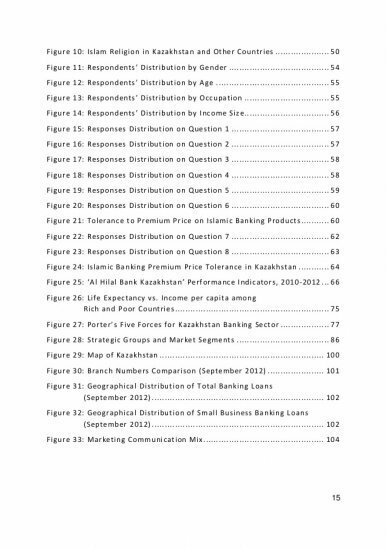 So basically Kazakh banks are not prohibited from trading in derivatives and speculating on their value, they are only prohibited from using more than 30% of their funds to do it. And they have to make sure that 30% have their origin outside Kazakhstan. According to Kelimbetov the banks' foreign debt currently totals at $11 billion. This roughly the amount of the bank’s funds of non-Kazakhstan origin. Since the new limit specifically targets the "domestic" money and limits the banks only to keeping 70% of their funds in Kazakhstan, not 100%, it seems reasonable to believe that the amount of funds that the ban would return “home” through this ban must be fairly large and that now the banks are using a large portion of their money abroad.